Mrs. Rebecca Jean Morris, age 67 of Tullahoma, TN passed away January 12, 2019. 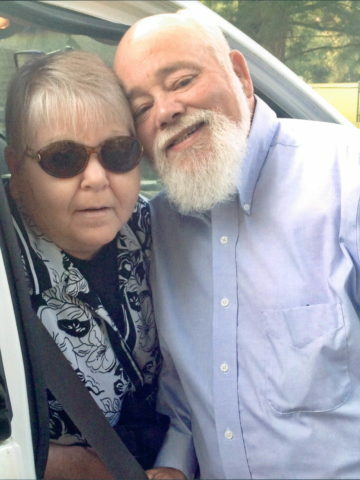 Mrs. Morris is survived by her loving husband of 41 years, Floyd Morris, daughters, Amy Howard (Haskell) and Angie Cupples (Roger), grandchildren, Harmoni and Logan Pearson, and Savannah and Shelby Cupples; mother, Grace Jarrell; brother, Tony Evans (Jessie); and sisters Carolyn Hawkins (David), and Joyce Duncan (John). Visitation will be on Wednesday, January 16, 2019 from 10am – 1pm with a service to follow in the Chapel of West Harpeth Funeral Home. Interment will be at Harpeth Hills Memory Gardens. West Harpeth Funeral Home 6962 Charlotte Pike, Nashville, TN 37209. There’s not enough space for me to write all that I would like to. Sweet Becky, we had so many wonderful and memorable times together in our lives. I will always hold a special spot in my heart for you. Carl my prayers will be with you, Angie and Amy. She is at peace now and will never have any more pain. It must be so hard to lose her but know that you will someday meet her again. My prayers for you Ms Evans, Joyce, Carolyn and Tony also. Your family will be in my thoughts and my prayers. I love you all.